Dr. David Spilkia of David Spilkia Family and Cosmetic Dentistry has been in the dental field for many years and believes in offering families dental solutions for better oral health and wellness. He not only understands the importance of a healthy smile, but a beautiful one too. When patients visit his practice to discuss with him the advantages of certain treatments such as orthodontics, he may be able to help with more discreet options such as Invisalign. Invisalign is a way for patients to straighten their teeth and realign their bite without eh need for metal bracket and wire braces. These are often associated with embarrassment and can negatively impact the smile throughout treatment—which can last many years. Instead, Invisalign may be suggested for individuals who are interested in repairing their smile but don’t want to deal with the appearance of more conventional methods. Dr. David Spilkia is a Certified Preferred Provider for Invisalign and has the training and experience needed to ensure proper results and quality treatment. He understands how Invisalign works and believes that it can dramatically change lives and improve self-esteem for both men and women. Invisalign works with special trays that are custom-made based on impressions of the smile. They are fabricated with medical-grade plastics and are clear, so when they are snapped over the dental arch, they are practically indistinguishable. These trays are made to gently reposition the teeth and can be a great way for both teenagers and adults to achieve the dream smile they’ve always wanted! However, it is important for patients to understand that compliance is key, and patients are urged to wear their Invisalign trays as often as possible, including overnight and throughout the day. Interested in learning more about Invisalign? Want to achieve a more beautiful smile without having to undergo more traditional types of orthodontia? If this sounds like you, now is a great time to speak to the team of David Spilkia Family and Cosmetic Dentistry to discuss the advantages of services such as this. 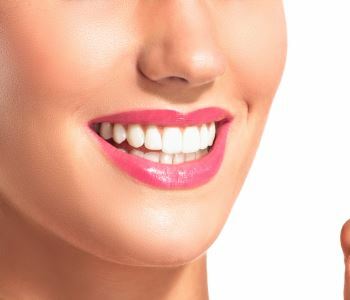 Patients with mild to moderate misalignment of the bite and teeth may enjoy what Invisalign has to offer for dramatic enhancements to the aesthetics and function of the smile.